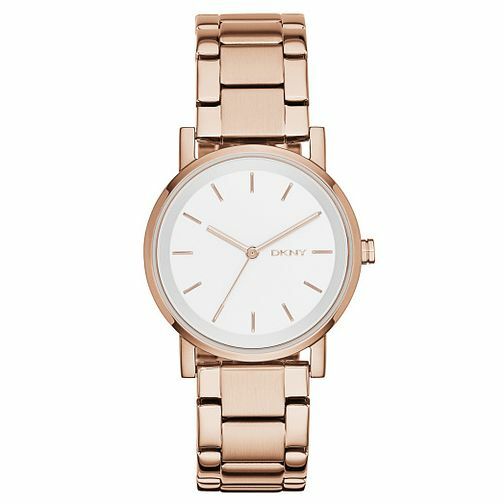 From New York fashion house DKNY, this ladies' watch from the Soho collection is perfect for everyday chic. Styled with a rose gold tone bracelet and case, along with a sleek white dial. Powered by a quartz movement.